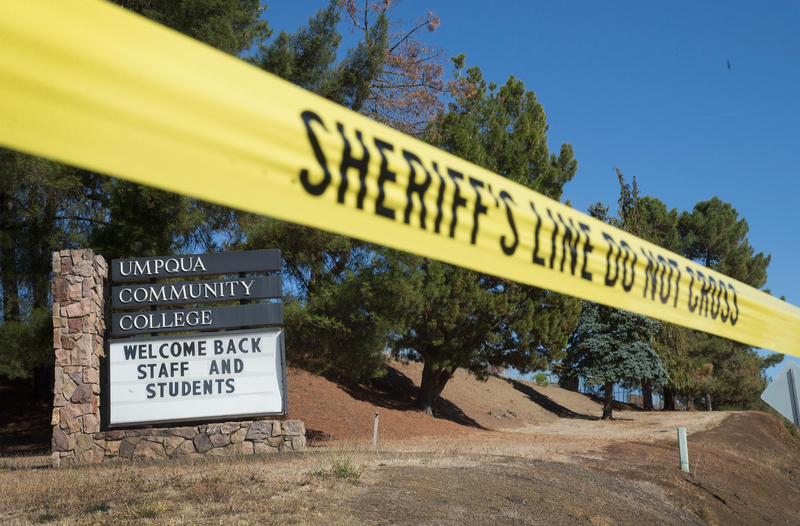 On Thursday afternoon, the nation's attention turned to yet another mass shooting, this one in the town of Roseburg, Oregon, where a 26-year-old shot and killed nine people at Umpqua Community College before turning the weapon on himself. The shooting spurred a ton of coverage, as well as renewed calls for gun safety reforms from President Obama (weary though they were). In the aftermath of the incident, the country mourned the nine lives lost at the hands of the gunman, and came together to support those who were left injured. And if you're looking for a way to express your support, here are four Oregon shooting survivor GoFundMe pages that you can check out. Here are four GoFundMe pages set up to support survivors. Boylan, an 18-year-old freshman at UCC, had been attending for just one week when she was injured in the gunman's rampage. Her goal was reportedly to become a professional singer, but right now she's in recovery from a bullet that struck her in the shoulder, and according to The Oregonian, it was embedded near her spine when surgeons managed to remove it. As of this writing, a GoFundMe set up by Boylan's parents to aid her throughout her physical recovery had brought in more than $10,000 of its $15,000 goal. Amber McMurtrey, 34 and a mother of two young girls, was attending UCC in the hope of earning a nursing degree when she was badly wounded in the gunman's attack. She was shot a staggering eight times, according to KATU — six bullets in her arm, and two more in her torso. Thankfully, she survived, but she faces a long rehab process ahead. A GoFundMe organized by her nieces has already beaten its goal of $15,000, netting more than $18,000 in three days, but if you still feel the giving impulse, your donations are surely appreciated. Fitzgerald is just 16 years old, and like McMurtrey, she was pursuing a career in nursing when she was wounded during the attack. She's lost a kidney as a result, and there's a considerable amount of psychological trauma that goes along with surviving an incident like this, as well — as NBC News details, her family says she survived (along with her friend Boylan) by playing dead during the gunman's rampage. A GoFundMe page set up by her cousin Courtney has already nearly doubled its goal, raising almost $20,000 in three days. You've probably already heard Mintz's name if you've been following this story. The 30-year-old military veteran has been broadly hailed as a hero, charging at the shooter in an attempt to stop the carnage, absorbing several bullets, and reportedly suffering two broken legs. Mintz has a long recovery ahead of him — his cousin Ariana told CNN "he's going to have to learn to walk again" — but at the very least, his bravery and selflessness has spurred a huge groundswell of support. A GoFundMe page set up by his cousin Derek has already raised a staggering amount, more than $750,000. Appropriately enough, the page requests that you consider donating to some of the other victims' funds as well, given the huge amount of support he's already received.